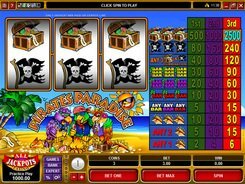 Pirates Paradise is a pirate-themed video slot played over 3 loose reels and a single line. 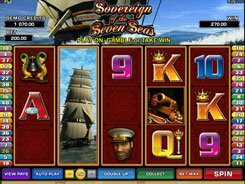 Having a classic layout, the slot features no Vegas-style symbols like cherries, sevens or bars. 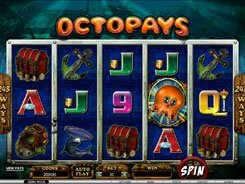 On the reels, you will see seashells, palm trees, black pirate flags and treasure chests. 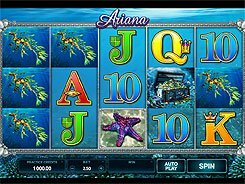 A coin size is adjusted from $0.25 to $5, with a maximum of three coins accepted per line, thus, the maximum wager is $15 per spin. 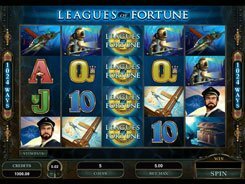 The gameplay takes place on a single screen with the paytable shown to the right of the reels. The lowest-paying symbol is the seashell awarding up to 30 coins for a combination of one seashell plus any two symbols, two seashells plus any other symbol, or three seashells. Palm trees and black flags award up to 90 and 240 coins accordingly. 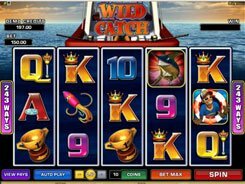 The top jackpot worth 2500 coins (or $12500 if betting max) is hit if you land three treasure chests across the payline. 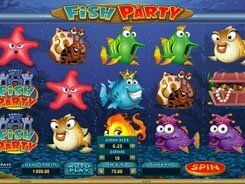 To grab that massive prize, you should make a three-coin bet, otherwise the payout will be 1000 or 500 coins, which is not bad either. PLAY FOR REAL MONEY!